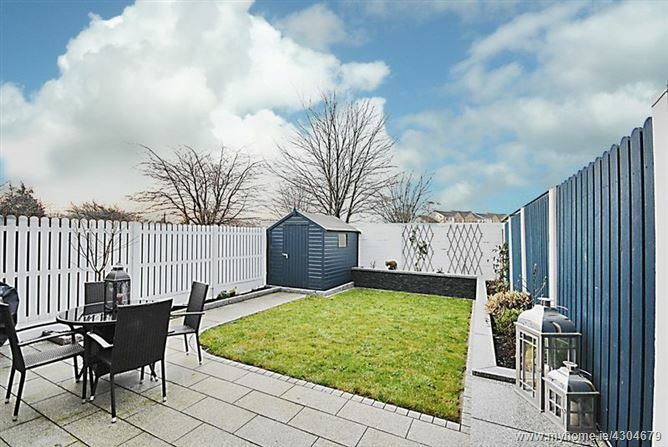 Baxter Real Estate are delighted to present to the market, this bright, spacious and modern, 3-bedroom/3-bathroom family home in show house condition, which occupies an area of approximately 140 sq.m./1,507 sq.ft (excluding approx. 42 sq.m/452 sq.ft of convertible attic space). At ground floor level, the accommodation comprises a generous living room with a large picture window and a top quality carpeted floor. Beautiful vintage style designer tiles are laid in the vestibule with polished porcelain floor tiles in the hallway and through into the modern kitchen and dining area, which features ample units with integrated appliances. French doors lead from the dining area to a very private, sunny rear garden, landscaped to an extremely high standard, with granite paving and stone clad raised flower beds and a 6 x 8 treated Barna shed. There is a fully-plumbed utility room, also with a tiled floor and splashback. Understair storage, and a spacious guest w.c. with tiled floor, complete the ground floor. 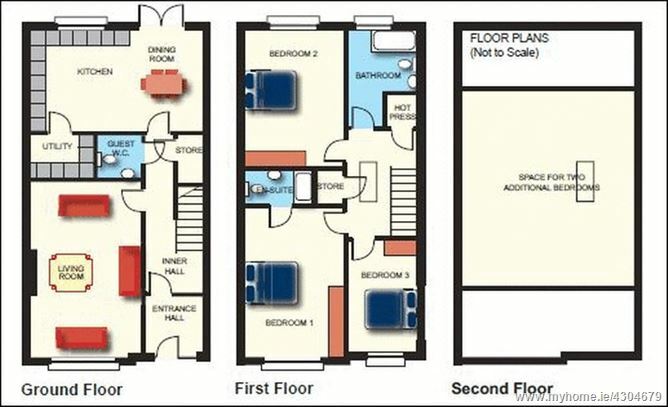 At first-floor level, there are three spacious bedrooms, all with built-in wardrobes and high quality carpeted floors. 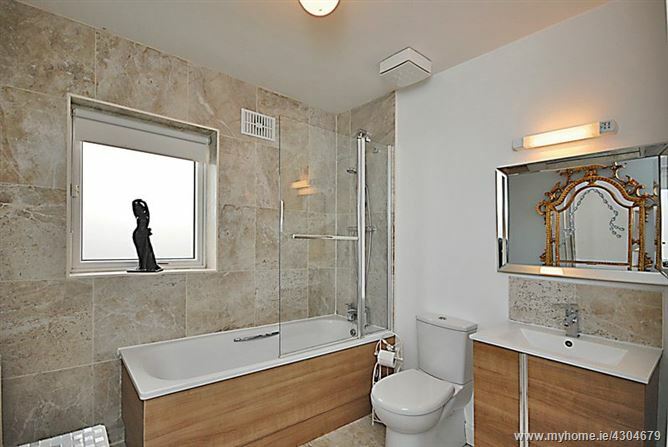 The master bedroom is further enhanced by having an en-suite bathroom with a tiled floor and an extra-large shower cubicle with fitted glass screen. 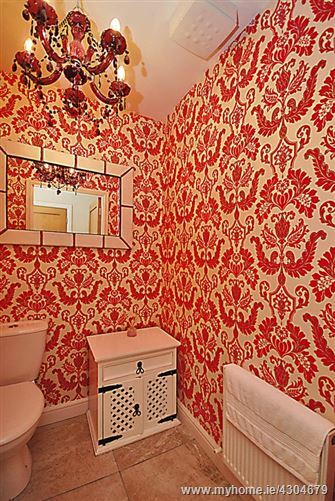 A family bathroom, with tiled floor and bath surround, services the two remaining bedrooms. A large storage cupboard and hot press complete this level. 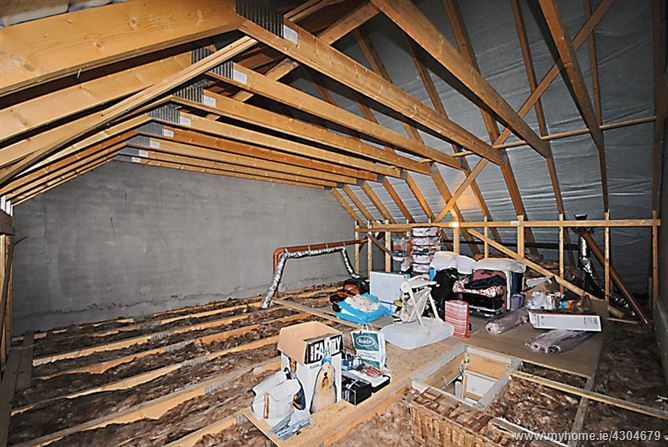 One of the many features of this beautiful home is the extremely spacious attic, which is ready for future conversion. It also has an enviable A3 building energy rating and there is off-street parking for two cars to the front. It is situated on a quiet cul-de-sac overlooking a green, with a playground just around the corner, making it an ideal location for families. 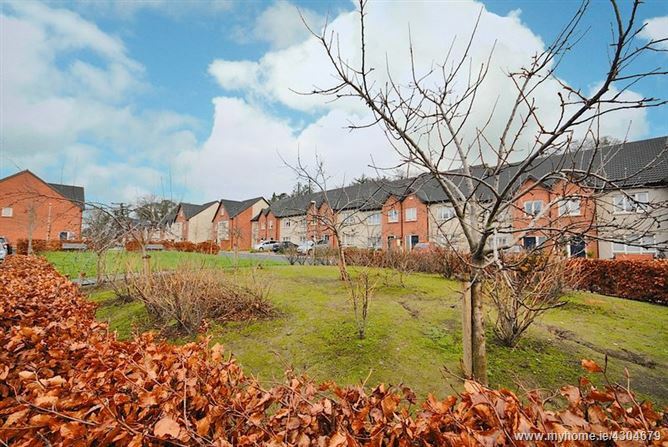 This home is close to numerous amenities, such as schools, shops, Blanchardstown Shopping Centre, Connolly Hospital, Draiocht Arts Centre and the National Aquatic Centre. It is also beside the M50, is serviced by a number of buses, and train services are available from Castleknock and Coolmine. Please note that all information, including areas, is given for guidance purposes only. We have not tested any appliances and all parties must undertake their own investigation into the condition of these appliances and to all other information provided. Modern 3-bedroom/3-bathroom, mid-terrace family home built in 2015 with original 10 year homebond. Energy-efficient home with an A3 Building Energy Rating. 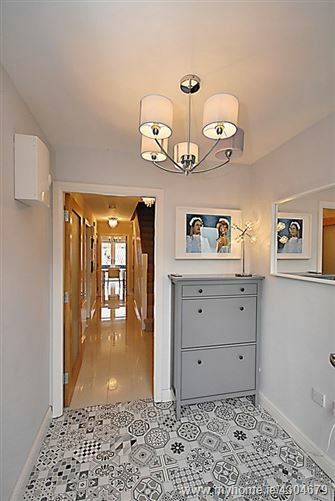 Immaculate floor tiling throughout the ground floor hallway, kitchen and utility areas. 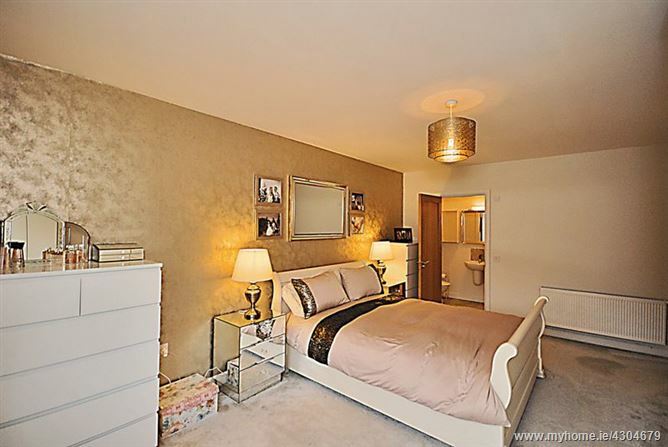 Built-in wardrobes and top quality carpeted floors in all three bedrooms. Zoned gas-fired central heating, solar panels, double-glazed pvc windows. Landscaped private sunny garden with granite paving and kerbs. 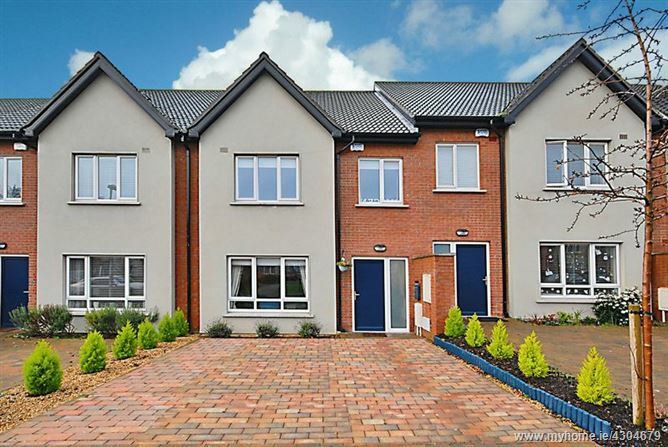 Close to M50, bus routes and train stations. Living Room - 20' 2'' x 12' 11'' (6.15m x 3.94m) - Large picture window ans a carpeted floor. 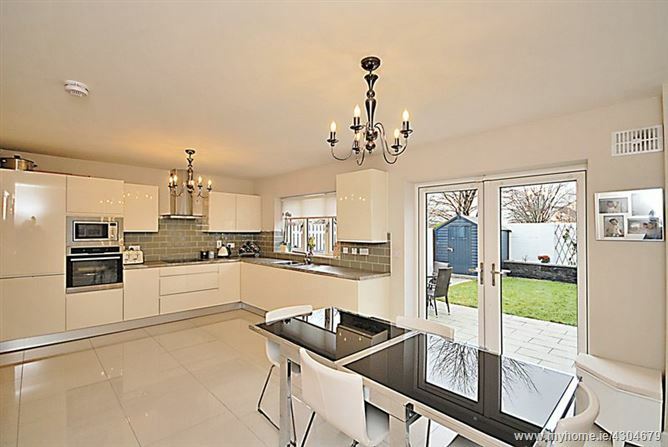 Kitchen/Diner - 19' 8'' x 11' 10'' (5.99m x 3.60m) - Tiled floor and splashback, with French doors leading to a landscaped, west-facing rear garden. Utility room - 7' 7'' x 4' 11'' (2.31m x 1.50m) - Tiled floor and splashback. Guest w.c. - 4' 11'' x 4' 11'' (1.51m x 1.50m) - Tiled floor. 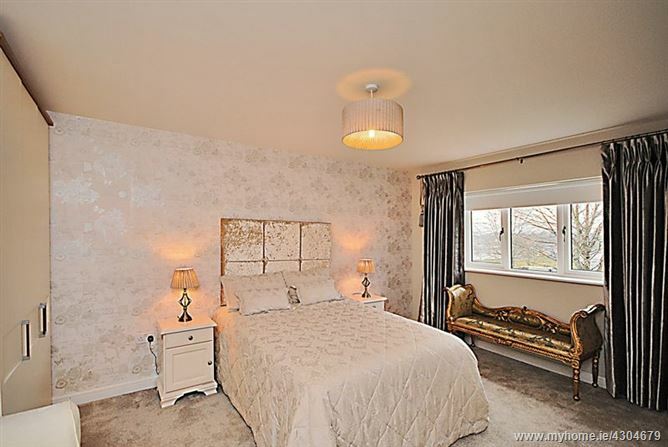 Master bedroom - 17' 7'' x 11' 5'' (5.35m x 3.47m) - Built-in wardrobes and a carpeted floor. 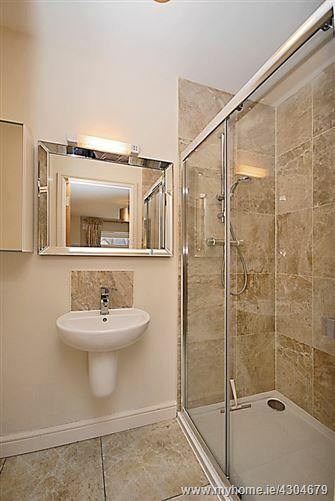 En-suite - 7' 10'' x 3' 11'' (2.40m x 1.20m) - Extra-large, tiled shower cubicle and tiled floor. 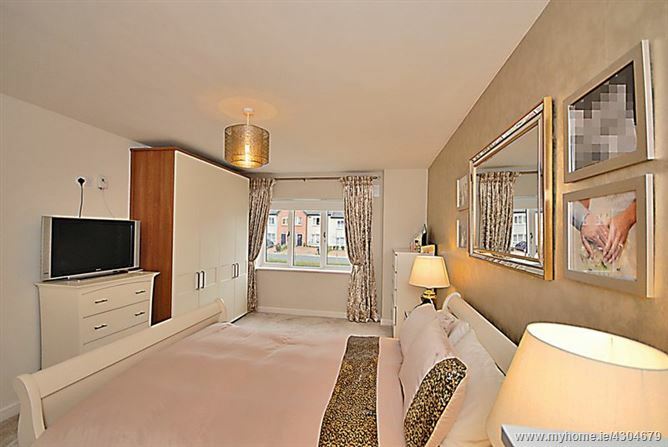 Bedroom 2 - 16' 3'' x 11' 9'' (4.96m x 3.58m) - Built-in wardrobes and a carpeted floor. 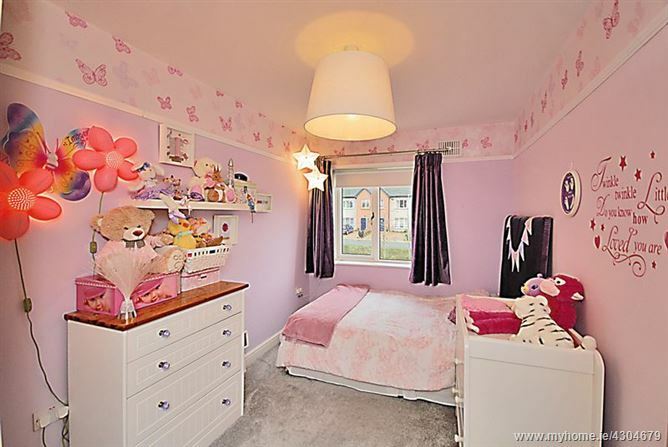 Bedroom 3 - 13' 4'' x 8' 0'' (4.07m x 2.44m) - Built-in wardrobes and a carpeted floor. Family Bathroom - 7' 7'' x 7' 3'' (2.32m x 2.22m) - Tiled floor and bath surround. Attic - 22' 9'' x 20' 1'' (6.94m x 6.11m) - Ready for conversion, whilst still retaining space for storage in the eaves.